Front Wheel Travel 220 mm / 8.7 in. Rear Wheel Travel 165mm / 6.5 in. Front Wheel 2.50 x 19"
Rear Wheel 3.00 x 17"
Dry Weight 149.5 kg / 330 lbs. Wet Weight 159 kg / 350 lbs. 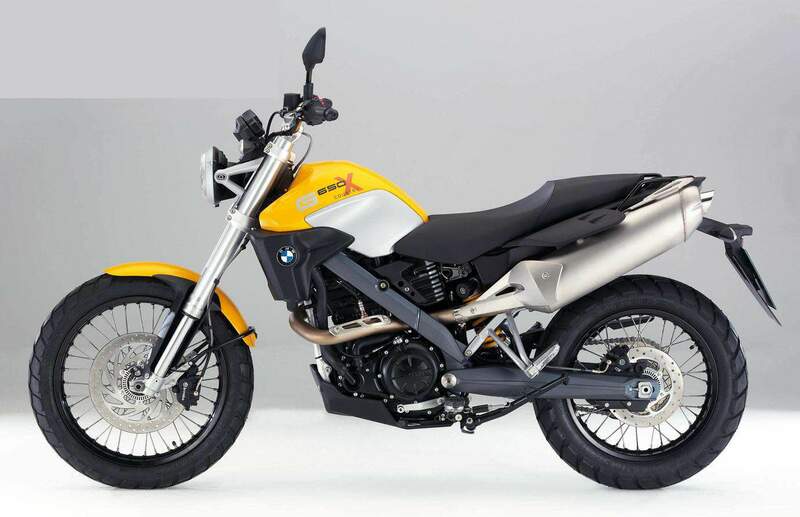 BMW first showed the G650 XMoto, XChallenge and XCountry in October 2006. Now, the XCountry is the first of the trio to get a mild update. The bike is available with the new ‘sunset yellow’ paintjob, suspension has been firmed up and travel has been reduced, seat height has been lowered, brake and clutch levers have been made adjustable and the bike now weighs in at 149.5kg dry. 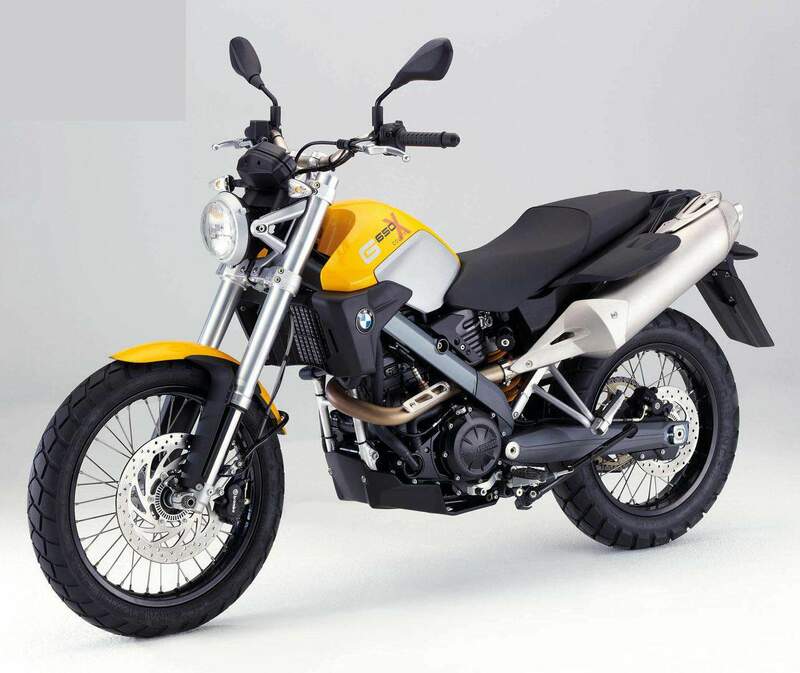 The BMW G650’s single-cylinder, 652cc engine remains as before, producing 53bhp and 60Nm of torque. Braking is via 300mm (front) and 265mm (rear) discs. ABS is optional and can be switched off when the bike is being ridden off-road. 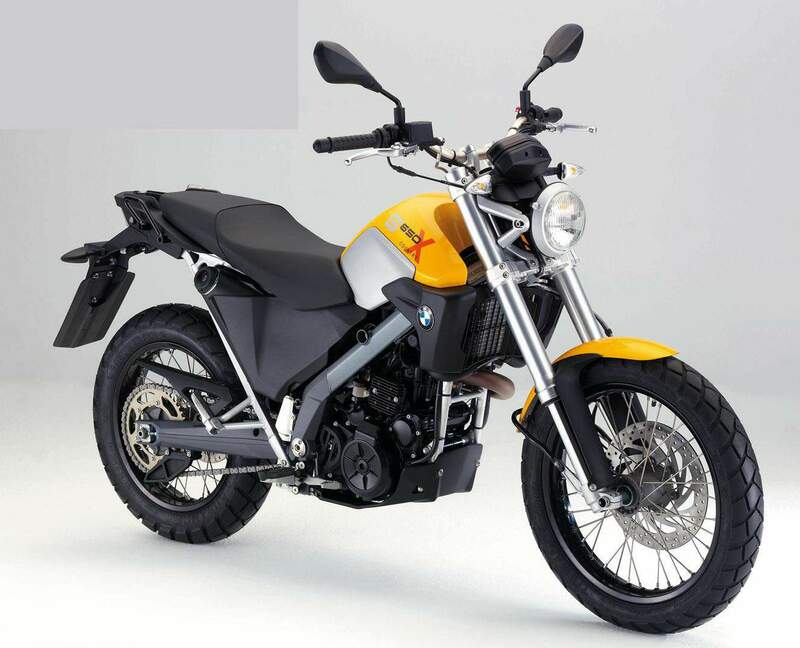 BMW have moved production of their G-series bikes to China, to take advantage of the lower production costs there. In fact, the single-cylinder engine used on the G650 range is actually manufactured by Loncin, a Chinese company that makes motorcycles, motorcycle engines and various motorcycle components. For 2009 the Xcountry gets colours, new suspension 220mm spring travel front and 165mm rear, new seat adjustable 800-825mm. The brake and clutch levers are also now adjustable. The frame have now got the addition of pillion peg mounting and top box ready mounts. Weighing roughly 330 pounds dry, the G 650 Xcountry continues to feature the refined 652cc single-cylinder motor with a claimed 53 horsepower. The 19-inch front and 17-inch rear wheels are designed as a compromise allowing versatile use both on-road and off.